For the first time in the history of the European Union, in line with our long-standing demands, the European political parties put forward common manifestos and nominated their top candidates for President of the European Commission. 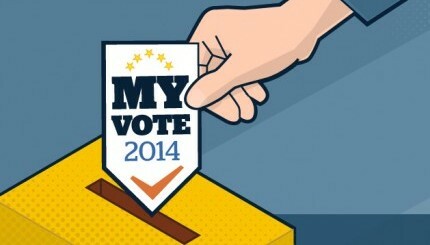 These top candidates have campaigned all over Europe and participated in televised duels. We should now make sure that the national governments will respect citizens’ vote. That’s why JEF is leading a campaign called “Respect my vote” and asks for your support to promote it. 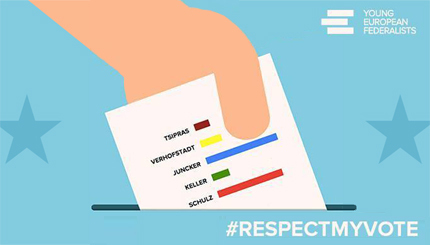 Sign and Spread our #Respectmyvote petition.